Perfect for those at risk of falling. 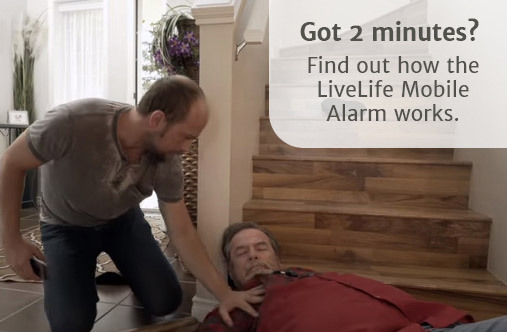 The LiveLife Alarm is an easy-to-use mobile medical alert system. 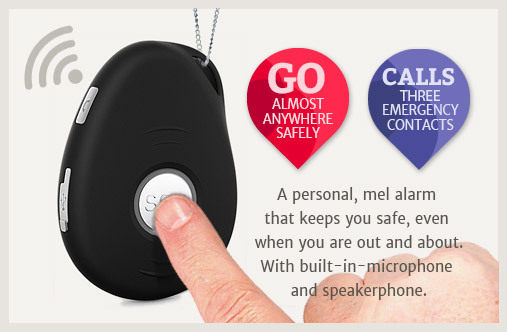 In an emergency a user pushes the help button on the pendant they wear. 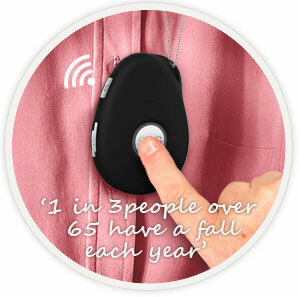 The mobile alarm automatically calls up to five phones of family or friends that can assist them. Works everywhere in Australia, not just at home. Hands free two-way communication available through the mobile alarm unit. 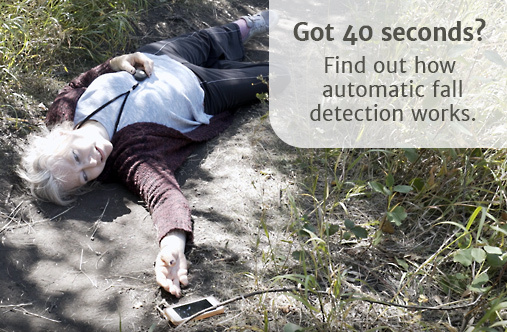 Automatic fall detection. When unit detects a fall it alerts your chosen contacts. Free next day delivery Australia wide. The alarm comes ready to go and is NBN compatible. No contracts or monitoring or service fees ever need to be paid. Easy, secure online or phone ordering and free programming of your emergency contacts. 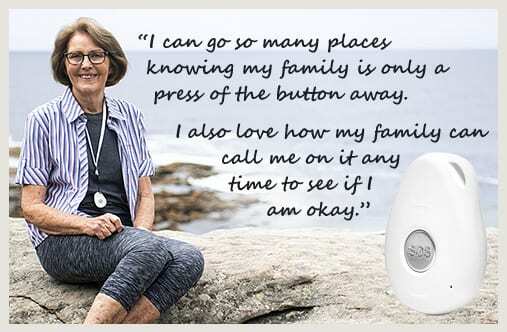 The LiveLife Personal Medical Alarm is easy to use. 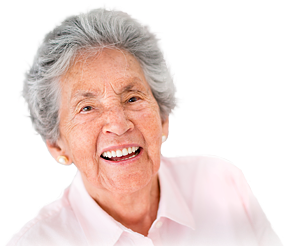 It comes with the most user-friendly and detailed instructions of any medical alarm. We can even pre-program it for you before delivery. Battery last 2-3 days between 30 minute recharges. Works anywhere in Australia where there is mobile network coverage. Meets all Australian standards of compliance. 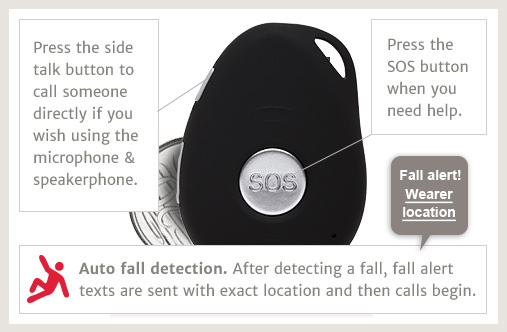 Includes an automatic fall detector that texts location and calls friends and family if you fall. 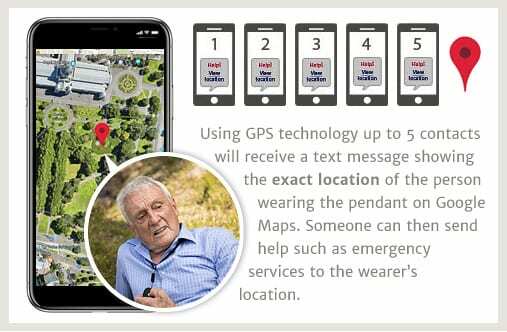 In an emergency, upon the help button being pressed it calls up to 5 of your nominated family or friends (can call 000). 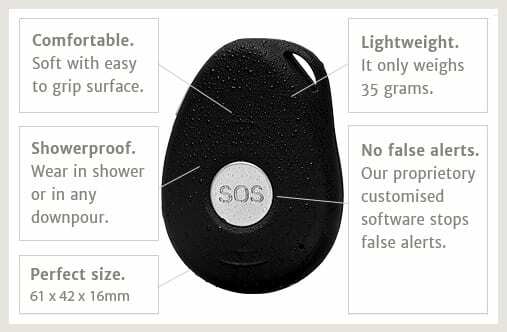 Comes with a water-proof pendant with a breakaway safety necklace. 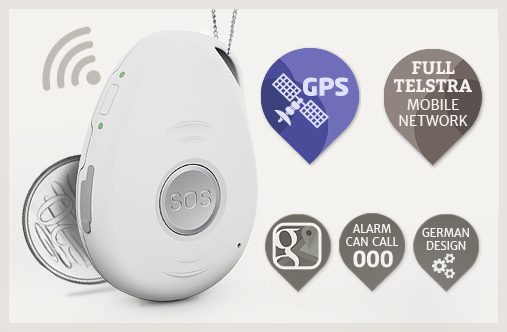 Anyone can call the mobile alarm and it will answer hands free 2 way voice automatically. Hands free two-way communication available through the alarm unit once a receiver has answered a call for help. No contracts, monitoring or service fees ever need to be paid! The alarm unit comes with everything you need. 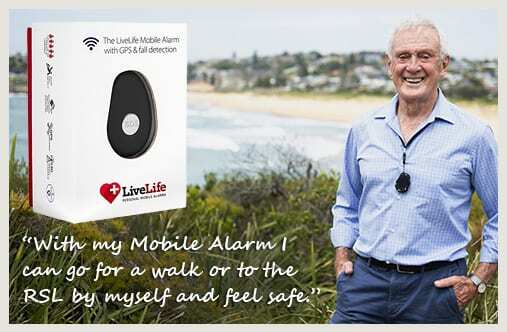 The LiveLife Personal Medical Alarm comes with a 14 day moneyback guarantee. Simply return the alarm unit in it’s original packaging within 14 days of purchase for a refund. 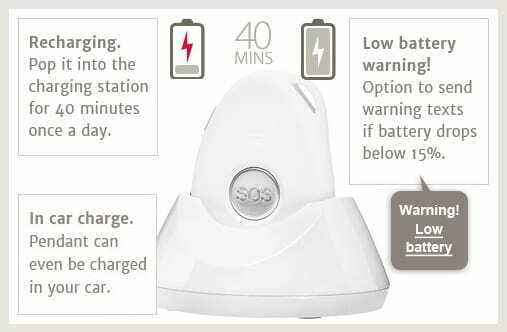 Once we receive the alarm in it’s packaging we will refund you the purchase price less postage costs of $95.00 within 7 days. See our Customer Service page for more details on our guarantee and returns policy. 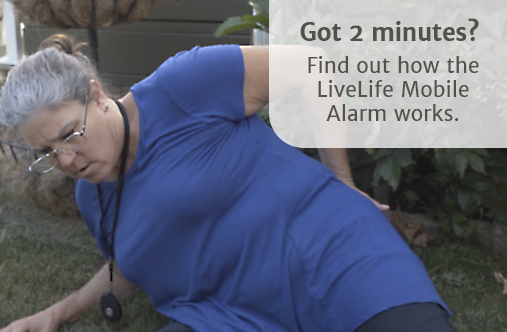 The LiveLife Personal Medical Alarm comes with a 12 month warranty. 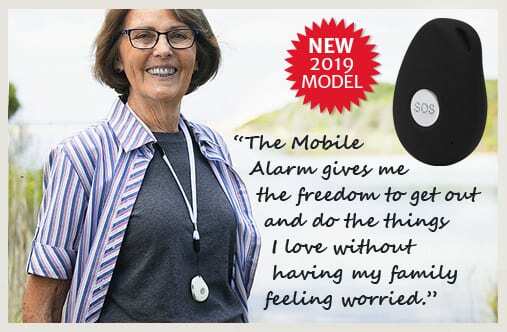 If the mobile alarm has a manufacturing defect or breaks down within the first 12 months of purchase we will replace it free of charge. See our Customer Service page for the terms and conditions of our warranty. Power: Operates on 6V DC using a supplied adaptor that plugs into a standard 240V socket. Backup batteries: uses 4 x AAA alkaline batteries in the alarm unit as backup for power blackouts. Pendant: uses 1 x A23S battery (widely available at chemists & supermarkets). Battery low indicator on unit. Battery low indicator on each pendant. Supplied with a standard phone splitter (RJ 12). Uses 433.92 MHz AM receiver. Auto dialer: up to 3 programmable phone numbers (landline and/or mobile) with maximum of 16 digits. Auto dialer: dials the 3 programmed phone numbers in order until the help call is answered by one of the receivers upon them pressing a key on their phone keypad to acknowledge the alarm unit’s call. Auto dialer: will call all 3 phone numbers up to 5 times in programmed order if necessary. User can record a help message of up to 6 seconds. Hands free communication from unit via the microphone to receiver’s phone for a duration of 45 seconds. This time can be extended by receiver for another 60 seconds if needed. Hands free microphone range of 3 to 5 metres from unit.